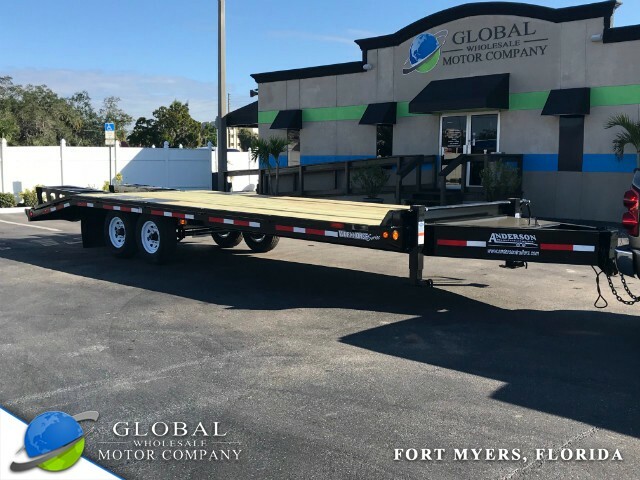 2017 Anderson TA8257TW EQUIPTMENT for sale in Fort Myers FL from Global Wholesale Motor Co INC. Perfect ’do it all’ trailer for heavy or light equipment. Perfectly sized at 25 feet it’s just big enough to fit most equipment but small enough to maneuver around town. This trailer features (2) 7,000lbs axels giving this trailer a 14,000lb GVWR. Dual 10k jacks, 6’’ channel side rails, pressure treated pine deck, full LED light package. Anderson makes the highest quality trailers built today. All top of the line finished and equipment.